Great kids, beautiful building, friendly staff—Southern Wells Elementary School has it all! After receiving an invite from Laura McKinney to speak to her second graders, I gladly accepted (Thanks Tricia Tucker for the recommendation!)! I walked into their group with my Medusa costume which you can see here. By the time this photo was taken, I had removed my snake wig but you can see it below w/ another class. Some of them actually move to the back! I thought they were kidding! Anyway they were all sweet students and great listeners. Ms. McKinney was there with her class and 2 other classes—I’m sorry, I didn’t get the other teachers’ names. We had a great time talking together about books – they had questions about how long it takes to make a book and do I get to choose the photos inside the biographies. 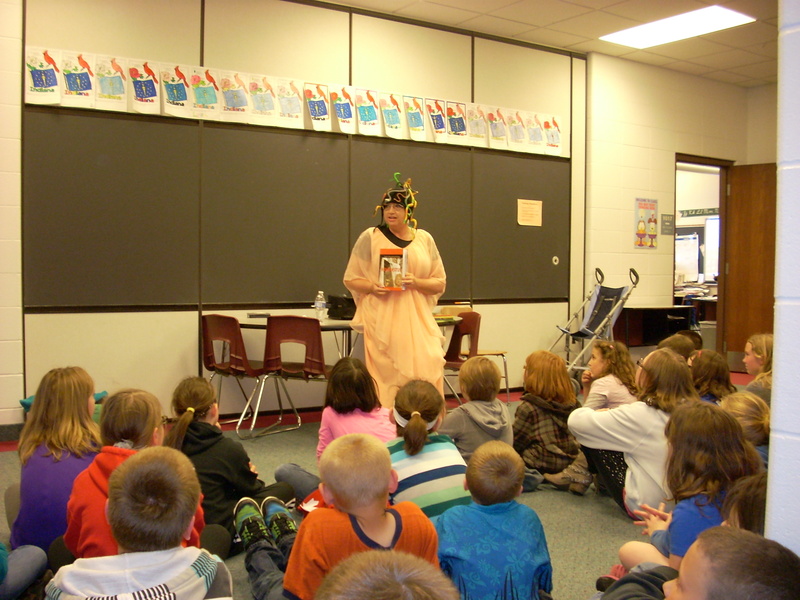 Medusa sans her snakes talks to 2nd graders at Southern Wells Ele. I explained that it took me longer to write the first book because I had so much to learn. The other books went faster. And no, I don’t get to choose the photos – the publisher emails them to me and I write captions for them that appear in the book. Then I spoke to the school’s 4th graders, thanks to the invite from teacher Brittany Atkins. They were a great group also with more great questions. 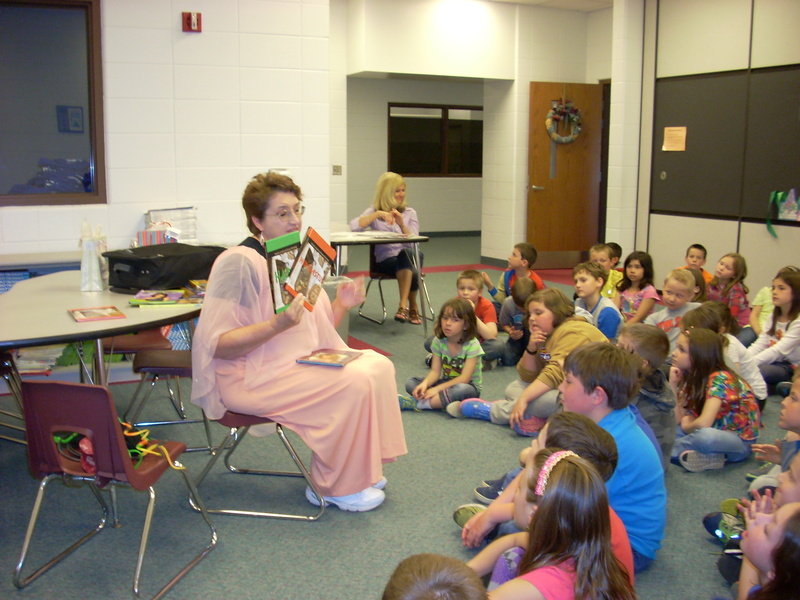 I love talking to kids about books! Speaking to students at Southern Wells Elementary School. Do you know of a school that could use an author visit? I’m still scheduling several visits for the end of the year and into next year. Please contact me at xxxkjreusser@adamswells.comxxx (remove the x’s to prevent spam). I’d love to hear from you regarding an author visit. 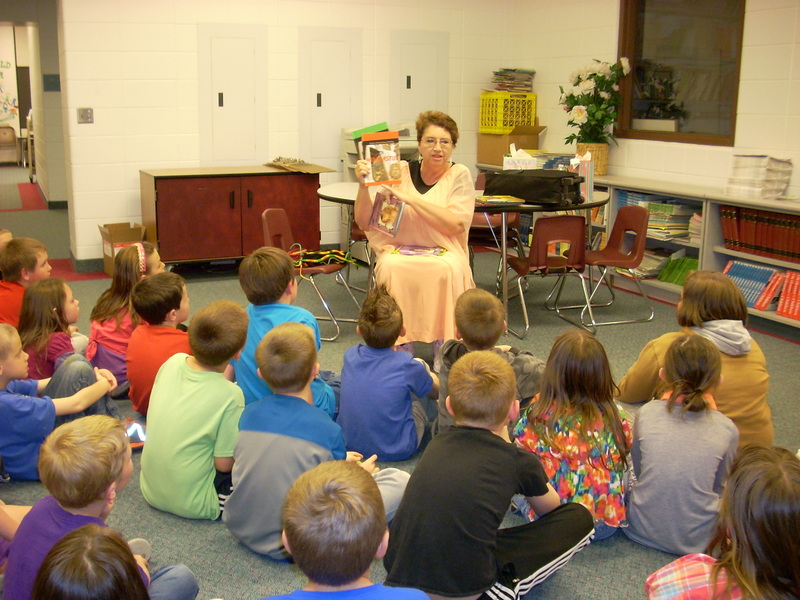 My goal is to encourage as many children as possible to read! Their success in life depends on it!